Murray and Burgess started the year at Factory49 with the installation Sort it Out. Murray and Burgess’s installation extends the act of making into a challenge to document the content of their yellow bins. They playfully approach sculpture using discarded rural metal fragments to make symbolic open vessels. 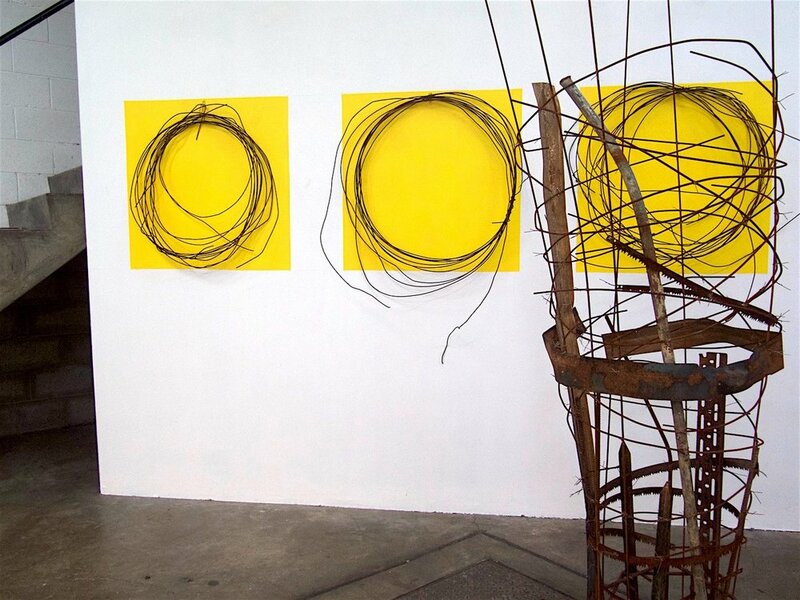 Their process-oriented constructions are drawings in space. 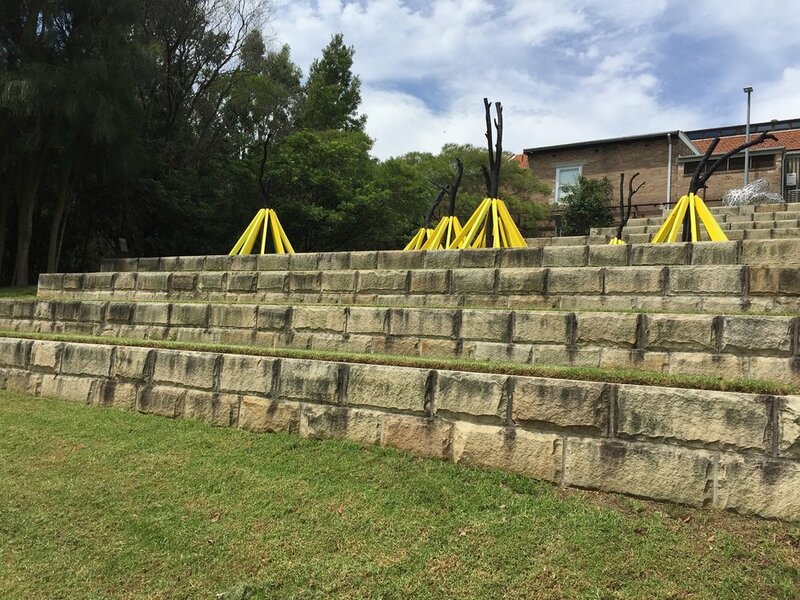 Murray and Burgess exhibited Fortress as part of North Sydney Art Prize. This work is a reminder that the environment needs to be protected from the damaging effects of man-made climate change. There will be more frequent and extreme temperatures and winds which cause devastating bushfires, droughts and cyclones. Sign up to Ro's newsletter to receive invitations to upcoming exhibitions.